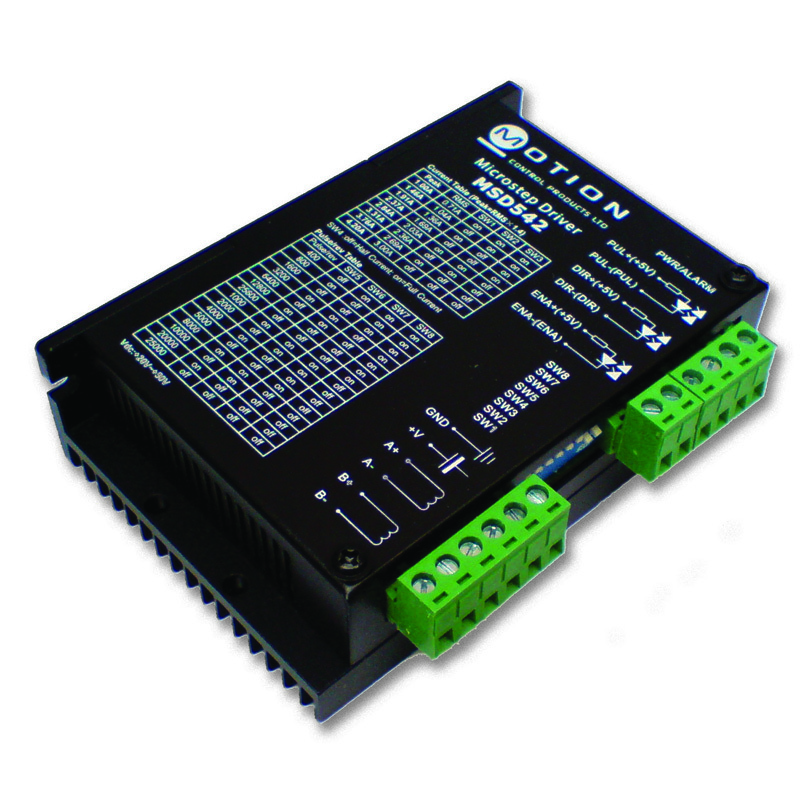 The MSD542 stepper drive is suitable for a wide range of stepping motors including our FL42, 57, 86 and the FL110 and are ideal for any application that requires a High performance but very low cost Microstepping drive. The MSD542 stepper drive has been specifically designed for applications such as X-Y tables, labeling machines, laser cutters, engraving machines and pick-place machines that require a high performance Microstepping driver but need a lower price to gain a competitive edge. The MSD542 is a high performance microstepping chopper Drive that provide a cost effective solution for production volume requirements. The small size allows designers to use these Drives in limited space and they are also easily integrated with other electronics. Design time is reduced because incorporating these drives is far simpler than developing a custom drive circuit. They are suitable for driving 2-phase step motors (maximum current ratings of 4.2). By using an advanced bipolar constant-current chopping technique, and a maximum input voltage of 50 VDC, they can produce more speed and power from the same motor, compared with traditional technologies such as L/R drives.